On Thursday and Friday October 4 and 5, Boost closed its doors for an all-hands two-day product development workshop, to build a new tool we call Scrummaker. This series of blog posts records the two days: what we made, and how we did in. Customer validation has been at the heart of this project. It’s actually seen us take a completely different direction to the one that, three short weeks ago, we thought we were moving in. Originally, we’d considered building a tool to solve one of our own pain points: turning stories in Pivotal Tracker into physical objects for sprint planning and visible workspaces. At the moment, our Scrum Master or our Office Manager spend a not-insignificant amount of time each week pulling stories out of Pivotal Tracker as CSVs, dropping them into project templates in Pages, tidying them up, then printing and trimming. We’d identified this as a pain point and poor use of our time, and considered building a tool that would integrate with Pivotal Tracker and automate this as much as possible. We used two frameworks to conduct and capture our customer research. One was Lean Launch Lab, a product that helps you store and visualise your customer research. 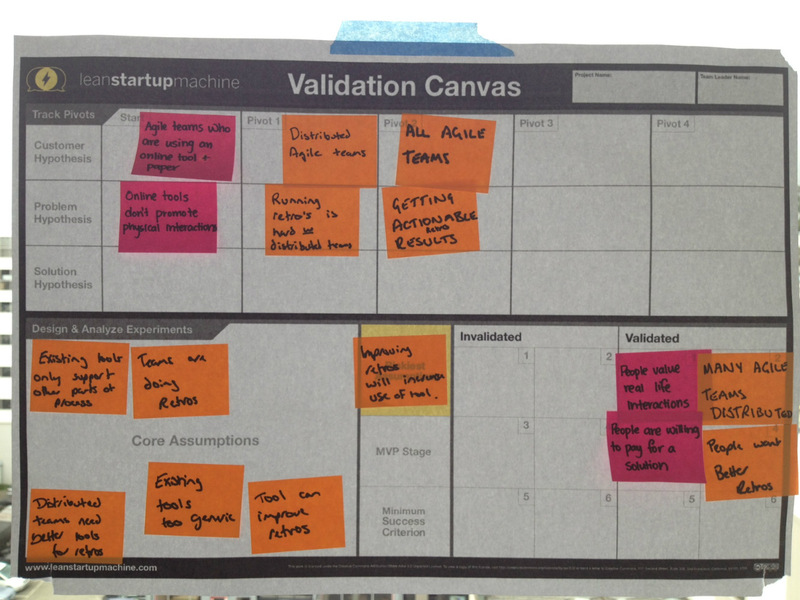 The other was the Validation Canvas from Lean Startup Machine, a simple one-page format for displaying assumptions, hypotheses, and pivot points. We conducted research in a number of different ways. The most complex was using unbounce to set up a landing page for our theoretical new product. We used LinkedIn advertising to promote the page, and tracked conversions from people visiting the page to following a call to action to sign up or find out more. We ran a poll through the LinkedIn Scrum Practitioners group, and we also conducted a series of email and face to face interviews with Scrum practitioners in Wellington and around the world. it can be even harder to track whether these actions are taken and what the outcomes are. Some market research showed us that few tools already exist to tackle these problems. At this point, we felt confident that we had a good problem to solve. 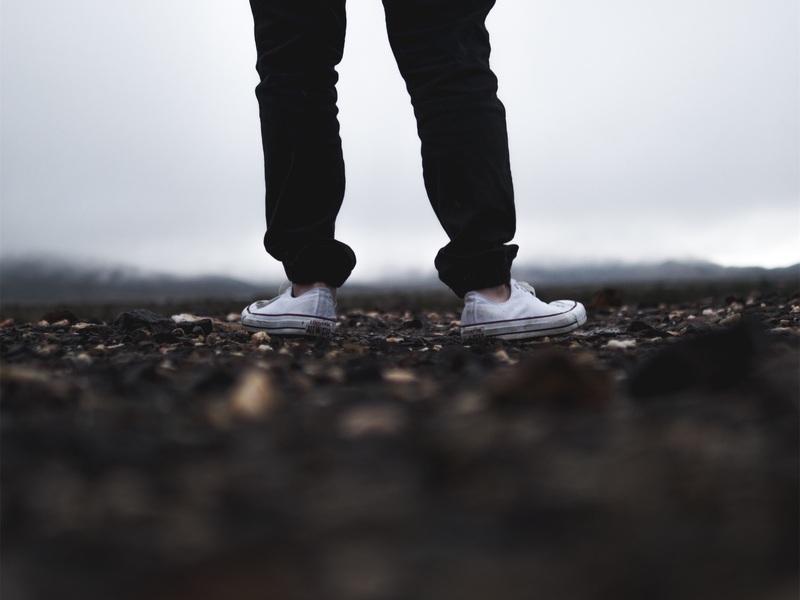 What could we build that would help Scrum teams run efficient and valuable retrospectives?